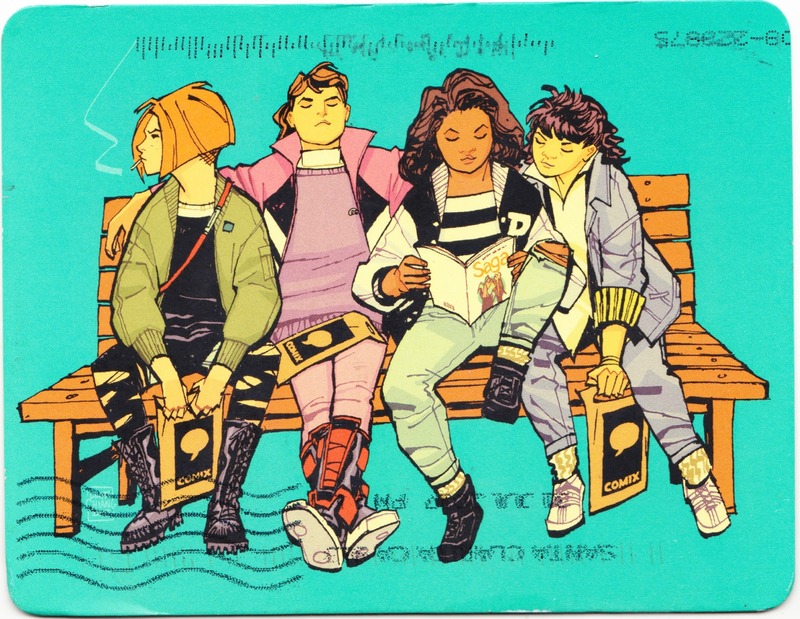 This postcard, a nice bit of above-and-beyond comic-book marketing, was mailed out this summer to remind readers about various editions of Paper Girls that will be available this autumn. The card was sent by the American Newspaper Delivery Guild, the "fan club" of this comic (sort of the like the old Merry Marvel Marching Society). The comic will return in October with Issue #16, and Paper Girls Book One, collecting the first 10 issues, will be published in hardcover in November, just in time to be a great Christmas gift. 1. Cliff Chiang, for his work as a Wonder Woman comic artist, received a "special thanks" credit in this year's Wonder Woman movie. He is also one the artists whose work was featured on the 75th anniversary Wonder Woman U.S. forever stamps.